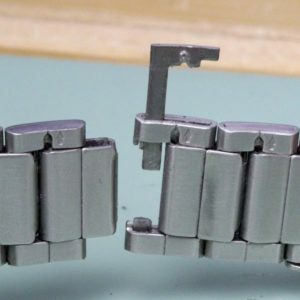 Most metal watch bands come in one of just a few standard lengths, and since people come in all different shapes and sizes it is likely that your metal watch band will be too long when you first get it. 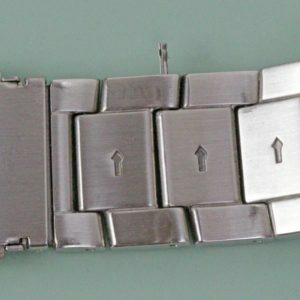 Therefore, we have compiled a collection of articles to help you learn how to adjust your metal watch band to make sure it fits you perfectly. 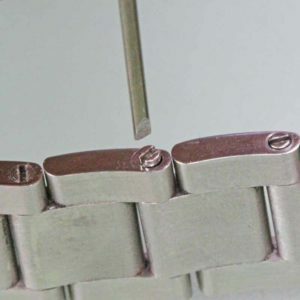 As most watch bands are held together in a variety of ways, you cannot adjust each watch band the same way: therefore check out this list below to identify the kind of link pins your watch band uses and follow the link to learn how to remove links from that style of band. Cotter Pin Links: You can recognize a link held together with cotter pins by turning it and looking at each edge of the band. If one side has a smooth pin end, and the other end looks like it has a very thin groove across the top, you are probably dealing with a cotter pin. These pins often have arrows marking the way they should be removed from the band on the inside of the band. Click here to learn How to Remove Cotter Pin Band Links. 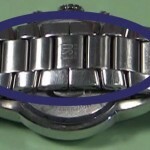 Watch Band Screw Links: The best way to identify a band with screw links is to look at the side of the band. If the links are solid on one side with a hole on the other side with a screw head facing up you are dealing with a screw pin and you should use this guide. 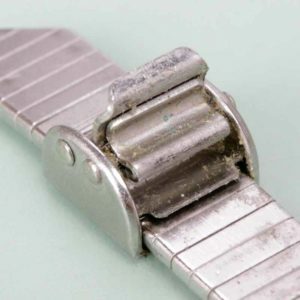 Click here to learn How to Remove Watch Band Screw Links. Pin and Double Sleeve Links: A link with pin and sleeve style attachment is pretty hard to identify but here is a good tip: Look at the pins and if there is no specific marking to show which way the pin should be removed and you can see a small metal ring around each end of the pin within the link you probably have a pin and sleeve style link. You may need an eye loupe to see the ring around the pin. Click here to learn How to Remove Pin and Double Sleeve Style Band Links. U-Clip Expansion Band Links: You can recognize an expansion band by its flexible and stretchy style, and you can identify a U-clip style band by looking at the edge of the links. If you look at the edge of the link and the two sides appear to be connected by solid vertical bars, you are dealing with a U-clip style link. 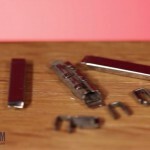 Click here to learn How to Remove U-Clip Style Expansion Band Links. 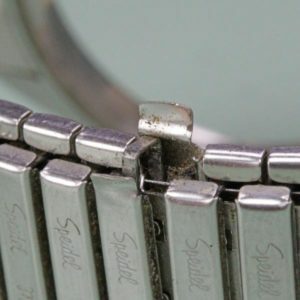 Spring Bar Links: Look at the inside of your watch band, if there are no holes on the outside of the links, but the back of the link has an arrow and a small window in it, you are probably dealing with a watch band held together with spring bars. Click here to learn How to Remove Spring Bar Style Band Links. 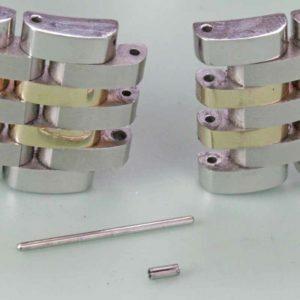 Plate Pin Expansion Band Links: You will recognize an expansion band by its flexible and stretchy style, and you can identify a plate pin style band by looking at the edge of the links. 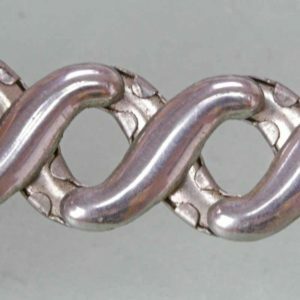 If you look at the edge of the link and the two sides appear to be simply sitting on top of each other, you are dealing with a plate pin style band. In between the two big sides, you should be able to see a thin metal piece above each of the bottom links. These bands might also have clasps unlike your traditional expansion bands. 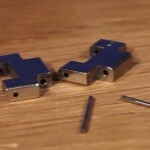 Click here to learn How to Remove Plate Pin Style Expansion Band Links. 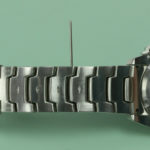 Mesh Style Band ‘Links’: Mesh style metal watch bands do not actually have links like other watch bands do. Instead they are made of one solid, woven piece of metal. 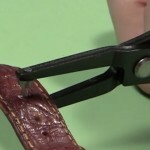 But, you can still adjust them to make them fit you just right by adjusting the sliding style clasp on the band. Click here to learn How to Make a Mesh Style Metal Watch Band Shorter.